FairLifts is Hawaii's premier reservations agent for scheduling heavy lift support to be used in industrial applications. 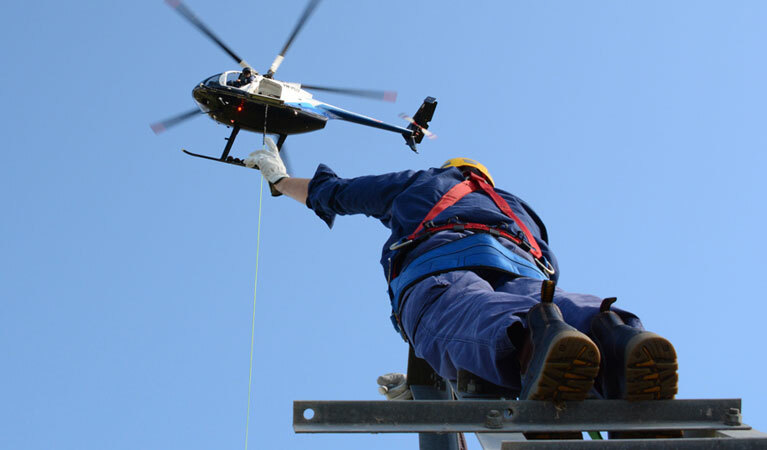 Through access to an expansive network of operators, seasoned pilots, crew and hardware we can coordinate cost-effective and expertly facilitated helicopter installation and removal of HVAC, tower construction, precision placement of signage and more in hard to reach, remote, and offshore locations, as well as, areas with little to no infrastructure. Helicopters are ideal in heavy lift helicopter application because their unique design allows for more maneuverability in metropolitan areas where they can fly between closely spaced buildings and achieve access to rooftops of high rises but also because they can easily reach isolated areas and remote work sites. With respect to HVAC installation in Hawaii, helicopters make what would be a precarious and time-consuming task all the more efficient, allowing for utility professionals to finish installation and/or removal of units in half the time it typically takes traditional cranes and ground crews to complete. The following are a listing of the types of helicopters typically selected for a range of heavy-lift applications. Read on to see which type of helicopter is right for your project. Single-engine helicopter used in missions in remote or impassable areas and areas of high altitude and high temperature. FairLifts reserves helicopter support for a range of industrial applications all across Hawaii. The most prevalent of them is in the precision installation of HVAC. Helicopter placement of HVAC is preferred because not only is it more time effective but also it's a more economical option. The need for supplemental ground support is mitigated because helicopters alongside an experienced crew can complete a job in a fraction of the time it would take with ground-based cranes. Helicopters also have an easier time achieving access to remote or underserved regions in Hawaii where structures may require the use of HVAC. They are also the most ideal means of installation or removal of older units from the rooftops of Hawaii's skyscrapers and high rises. 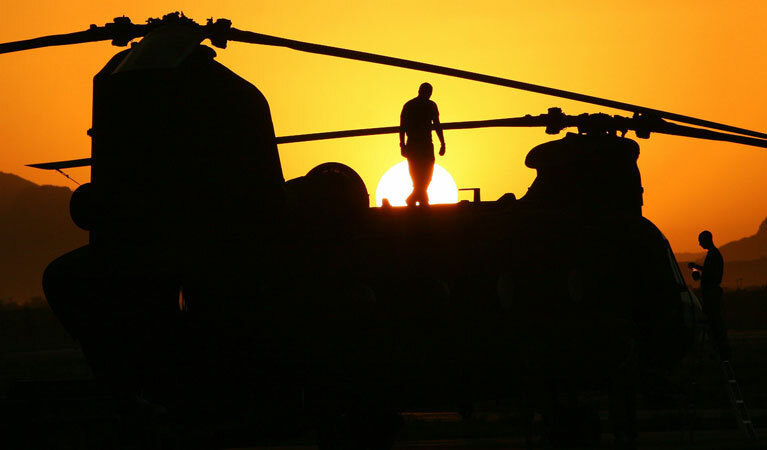 Helicopter support can be reserved for the expert installation of Hawaii’s radio towers and for antenna construction. Experienced communications crews and pilots strive to make light work of tower erection and safely and securely execute the transport and delivery of equipment, materials, and personnel to get the job done right and on time. Advertising is key in growing and establishing your business’ credentials and talents. Making certain prospective customers take notice of your name or product is equally as important. This is why it's imperative that Hawaii’s business owners have a reliable resource in the precision placement of their billboards and signage. Helicopters can efficiently place signs and wording on the sides of Hawaii’s tallest buildings and can install billboards to ensure your brand gets noticed. The Hawaiian islands are well known for their rugged beauty as well as diversity in terrain which features cliffs, waterfalls, densely canopied areas of tropical foliage and beaches. Not all businesses in Hawaii are situated in metropolitan areas, some are located off the beaten path in remote and mountainous regions and across islands. Helicopters are the most ideal means of access in states like Hawaii because the can fly into isolated areas with ease, navigate easily between peaks and valleys and don't require airstrips to land or takeoff. Reserving heavy lift support via helicopters is the best way to ensure your projects completion regardless of the environment it's being facilitated in. Heavy lift helicopters are the preferred method for the delivery of materials and equipment to Hawaii’s construction sites. They are a faster means of transport than over the road or over water and as result of their capability to lift thousands upon thousands of pounds can be used in the safe and secure transport of concrete, steel, wood, piping, poles, water tanks, and heavy machinery. Agents are available to consult with you about booking heavy lift support in Hawaii. Get complimentary price quotes, discuss details specific to service requests or reserve helicopters for heavy lift operations when you call FairLifts today. Reaching out is simple. Complete the convenient contact form on our website and agents will respond within less than 24 hours or call to speak with qualified agents now.